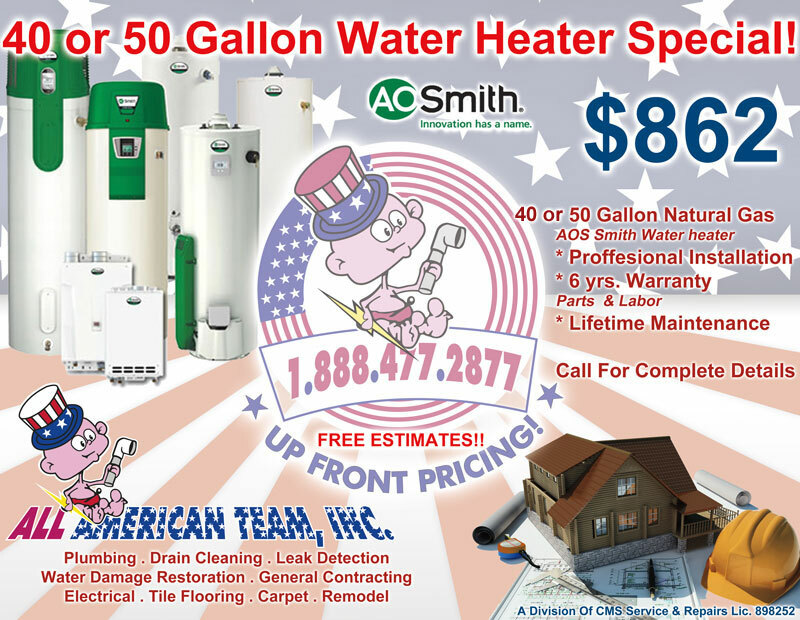 Water Heater Special Temecula and Murrieta Customers! There comes a point in every home owner's life when the unexpected happens, and they're left with a huge mess on their hands that they're just plain unprepared to deal with on their own. It's at these moments that you need true professionals who know what they're doing, and can get it done for a fair and honest price. When it comes to Temecula Drain Cleaning, there's only one name in town, “All American Team Inc”. If there's work to be done on both the inside and the outside of your home, look no further for Temecula Drain Cleaning than All American Team Inc. They're an amazing contracting company that specializes in a variety of services, including basic plumbing concerns, Drain Cleaning Service, searching out leaks of various sorts, fixing water damage (and preventing it as well), discovering slab leaks, and other contractor services as well. These services include, but are not limited to, painting, laminate floor installation, tile installation, drywall, electrical work, and much more. Your home is your life, and seeing as it's such an important part of your life, the last thing you want to do is leave it's needed repair work, such as Sewer Cleaning Service, in the hands of anyone less than stellar. Again, when it comes to Temecula Drain Cleaning, these are the guys you want taking care of your beloved home. They've got years of experience under their belts- 25 to be exact. And don't think that if you live outside of Temecula that you're out of luck- they even offer service to all the surrounding cities as well, including Murrieta, Menifee, Winchester, and Lake Forest. All American are on the rise, but don't think that means that they're sacrificing quality in any way. For them, customers always come first. If you've been hard pressed to find just the right home contracting company that offers everything that you demand for the well being of your house, look no further. 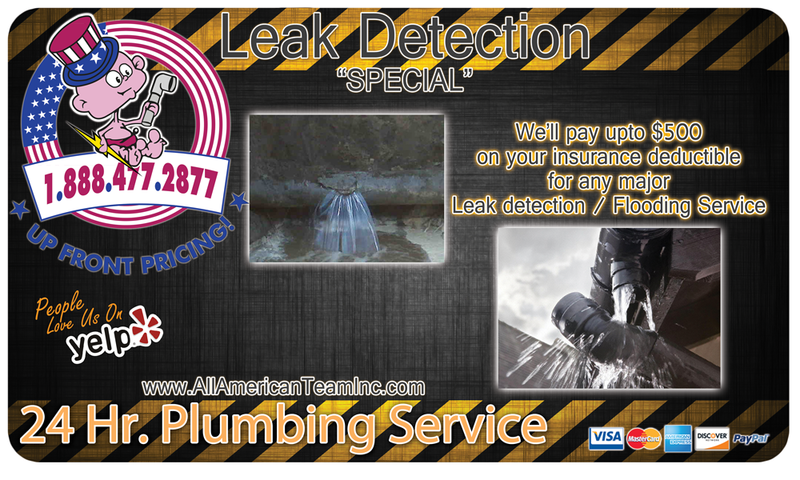 All American know their way around just about any plumbing or home repair job you can throw their way, and take every precaution to ensure the job gets done right the first time. Seeing as how they've built themselves through word of mouth and persistence, it's clear that they've got not only the skill and know-how, but also the rates and expertise to handle whatever problems may present themselves for as long as you own your house- guaranteed.